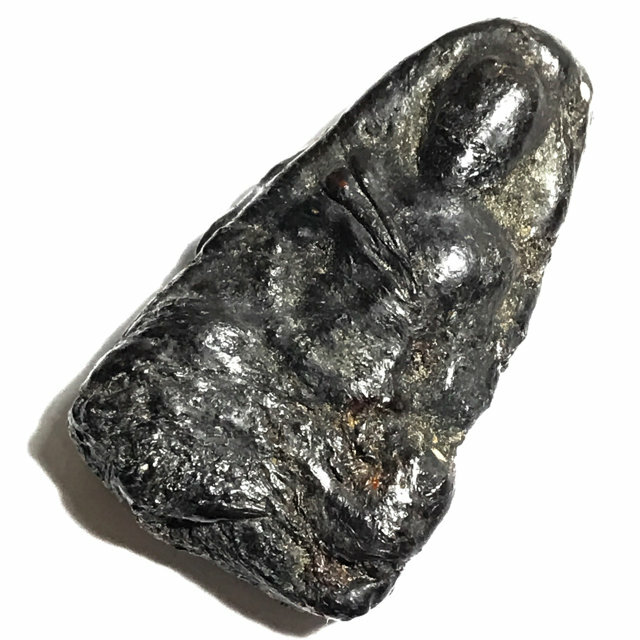 A world famous Pra Niyom Preferred master-Class amulet of the Tamniab Pra Niyom, the Roop Muean Nuea Krang Putsa Luang Por Tong Sukh, Sacred Image in Magical Putsa Paste, from Deceased Guru Master, the Great Luang Por Phaew, of Wat Tanode Luang. The amulet was released around the year 2509 BE,and is made from molded Krang Putsa resinous Sacred Substance of Luang Por Tong Sukh, from Luang Por Phaew's repository which he inherited from Luang Por Tong Sukh. Presenting one of the most famous and highly sought after amulets of the 'Tamniab Wadthumongkol' Pantheon of amulets of Wat Tanode Luang, and one of Luang Por Phaew's top five amulets within his personal Pantheon; the Pra Roop Muean Luang Por Tong Sukh Nuea Krang Luang Por Tong Sukh. Below, a documentation of a later edition which was released in 2536, with Gaan Toop incense sticks from Luang Por Ruesi Ling Dam's Kammathana Meditations, and using the Krang Putsa paste used in the original 2509 BE edition, and Luang Por Tong Sukh's original Luang Por Tuad Nuea Krang. The fact that the below edition was made in esteem and nostalgic praise of the Roop Muean Nuea Krang Luang Por Tong Sukh, is a testament to the Eminence and Spiritual Power of this amulet.